Providing Matrimonial Portal Development Service. It is not easy to find a perfect life partner. But now we will give you better platform for run your own business. Now you can manage your own Matrimonial Business with just 1 click. 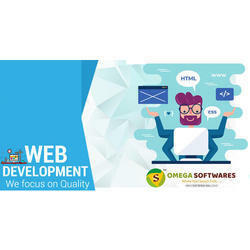 Our company has earned accolades in offering Matrimonial Website Development Service to the clients. We have highly qualified team of professional software developers who use advance technology and strategies while offering this service. We provide this service to customers within the stipulated period of time. This is the best solution if you are looking to run a matrimonial services website. We have integrated many features which you can use and take full advantage of the matrimonial services. It is a user friendly software. User will be able to search, update, add/remove, and edit their profiles from database. In addition, user can also add/delete/change descriptions, upload images/photos. Matrimonial Portal Development is one of the fastest growing industries on internet; it is advance technology to find the perfect match themselves. It helps singles (Groom/Bride) to find their perfect match. This is a best platform to match-making experience in helping Groom and Bride who seek true lift partner.